 Art Gallery - Candle Store Roma l'arte della cera! Benvenuti! This magnificent candle is a stunning piece of decor that will enrich a console, side table, mantelpiece, or vanity. Either lit to release its elegant fragrances or as a sculptural piece reminiscent of the rigorous and severe geometry of Medieval architecture, this candle will make a sophisticated statement in a contemporary or classic home. It was crafted entirely by hand of refined paraffin wax with the addition of natural essential oils. Its geometric structure was achieved with the cold-inlay method using two different-colored waxes. This stunning candle symbolizes the union of woman and man, with a superb concave cup crafted entirely by hand using refined paraffin wax and natural essential oils that give it an exquisite scent enjoyable even when not lit. The surface of the bowl is adorned with a texture obtained with cold inlays that give the wax the elegant look of shiny stone. A superb piece that will add sophistication and luxury to a classic home, this candle will make a statement during a formal dinner or a special celebratory occasion. The imposing size and stunning appearance of this superb candle make it an opulent piece of decor that will add a luxurious touch to an entryway or living room. Its concave shape was made entirely by hand using refined paraffin wax mixed with natural essential oils that create an intense fragrance, to enjoy even without lighting the candle. The unique marble effect of the surface was obtained by exposing the piece to different temperatures. This one-of-a-kind candle can be displayed alone or combined with others from the same designer for a dynamic and colorful look. This elegant candle is a poetic addition to a modern or contemporary home, where it will provide light and a sophisticated scent, while also being a stunning piece of decor, thanks to its unique texture. Crafted entirely by expert hands, this object was made of refined paraffin wax mixed with natural essential oils. The cylindrical shape, with its delicate off-white color, is adorned by hand using the cold-inlay technique with a series of carved abstract decorations that add a dynamic touch. This eye-catching piece can be displayed alone or combined with others in the same series. This exquisite candle is a unique eye-catching addition to a contemporary or modern home, where it will provide light, an elegant scent, and a striking decoration, either alone or combined with the others from the same collection. Its stunning shape evokes the egg, with its symbolism of eternal rebirth and fertility. Made of refined paraffin wax, its surface was brushed and carved with an awl and then filled with dark-colored wax, to highlight the abstract decorations that run on an irregular band across the piece. The scent is obtained with natural essential oils. The eclectic and contemporary flair of this stunning candle makes it a perfect addition to a modern home, where it will enliven a patio, living room, or entryway with its bright color and delicate scent. Shaped as a pillar, the orange hue of the refined paraffin wax is carved by hand using an awl and filled in with a dark-colored wax to create the stylized silhouettes that adorn its surface. Mixed in with the wax, natural essential oils add a charming scent. This exquisite piece can be displayed alone or combined with others in the same collection for a dynamic effect. A stunning addition to a rustic or contemporary decor, this candle was crafted entirely by hand using refined paraffin wax in the shape of a rectangle. Its smooth surface was hand decorated using the cold-inlay technique, creating an abstract series of motifs that run in an asymmetric band around the four sides of the piece. This hypnotic pattern is then filled with black wax to strikingly contrast with the pale-amber color of the background with a brushed finish. Mixed in with the wax are natural essential oils that release a delicate and complex scent for an elegant effect. Modern and sophisticated, this candle will be a precious addition to an elegant home and a superb housewarming gift. Its rectangular shape with a square base is crafted by hand using refined paraffin wax mixed with natural essential oils for a delicate and unique scent. The amber color of its surface is adorned by hand using an awl that carves a series of abstract and geometric decorative patterns inspired by the image of a heron. The decoration was filled with black wax for a striking contrast. This object can be displayed in an entryway, living room, or powder room as unique sculpture. This striking candle is an elegant pop of color for both a classic and a contemporary decor, where it will enliven an entryway, living room, or bedroom with its vivid green hue, while providing an exquisite scent that can be enjoyed even when non lit. Its convex bowl shape is crafted entirely by hand using refined paraffin wax and natural essential oils. The distinctive texture, creating a carousel of wedges, was obtained entirely by hand with the cold-inlay technique and creates a series of streaks of light ("spicchi di luce" in Italian) when the candle is lit. A unique sculpture and a precious addition to both a contemporary and a classic decor, this stunning candle is inspired by the geometric decoration gracing the elegant furniture of Art Deco style. The amber-colored bowl is carved by hand using the cold-inlay technique and enclosed in a dark-colored frame. Entirely crafted by hand, this piece is made of refined paraffin wax. The delicate scent that it releases when lit is obtained with the use of natural essential oils, whose fragrance can be enjoyed also when the candle is not in use. A unique decorative piece, this candle will add a striking accent to a modern or contemporary decor and will make a superb gift. It was crafted entirely by hand using refined paraffin wax to which were mixed natural essential oils to create an elegant scent that is enjoyable also when the candle is not lit. When lit, the cylindrical shape of the piece will filter the light shining from within through the stunning textured surface that was made with the cold-inlay technique using two waxes of different colors. This magnificent piece of decor was crafted entirely by hand using refined paraffin wax mixed with natural essential oils for a delicate, elegant scent. Its egg shape is an ancient symbol of eternal rebirth and fertility and its surface is masterfully decorated using a brush that adds a polished effect to its curves. A central section of the piece is carved with the use of an awl and filled in with wax with a darker, smooth finish, adorned with an abstract pattern that borrows from primitive art.